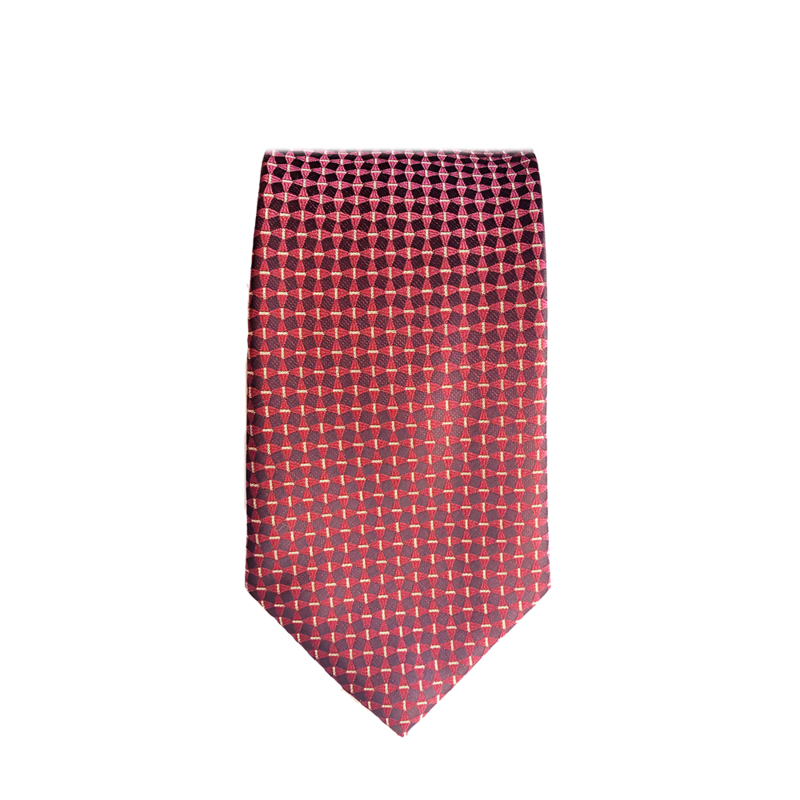 A crimson colored tie with a rustic square foulard pattern. Perfect for looking bold yet not too flashy. A must have for any tie collection.